Scottscope: Movie Trailer: Viva Riva! The United States isn’t the only place that makes crime flicks. I became privy to that fact upon discovering the weird and wonderful world of Hong Kong action cinema in the 1990’s. Since then, countless countries have thrown their proverbial hats into the ring. 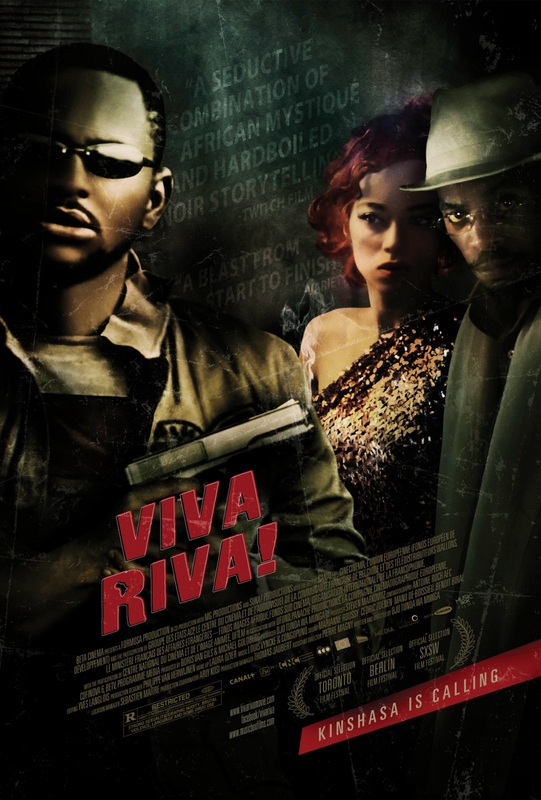 The Congo now takes a cinematic plunge into its own murky underworld of money, women and guns with Viva Riva! Viva Riva! Tells the story of Riva, a small time hood who returns to his native Kinshasa, Congo like a conquering hero. He brings with him a bounty of hijacked gasoline, making him the man of the moment in the underworld. As he basks in his newfound glory, he catches sight of the sensuous and lovely Nora. Nora is actually the property of local crime lord Azor, who is zealously vigilant of his prize. As if the situation weren’t complicated enough, the original owner of the gasoline shows up in Kinshasa looking for his stolen goods and gunning for whoever took it. At first glance, Viva Riva! looks like the Congolese answer to Fernando Meirelles' amazing City of God. A closer look reveals it to be something much more stylish and traditional than that brutal classic. Viva Riva! 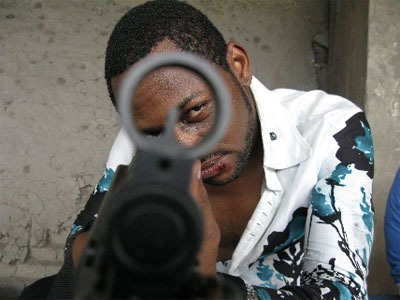 is essentially a modern film noir set in the Congolese underworld. The trailer contrasts the dusty squalor of its shantytowns with the vibrant and colorful nightlife afforded to Viva in the aftermath of his huge score. It looks every bit as seductive as it should. It was filmed in high definition, which gives a refreshingly modern look that is both slick and gritty. Viva Riva! Has recently been setting the international film festival circuit on fire, and will be arriving on US shores June 10th courtesy of Music Box Films. Of course, it won’t be the standard wide release enjoyed by your garden variety disposable summer blockbuster. That’s unfortunate, since Viva Riva! looks like it’s easily ten times more entertaining and intriguing than whatever Hollywood will be offering at that time. Let’s pray for a prompt release on DVD and Blu-ray, so those of us who don’t reside in or near a huge metropolis can have a chance to appreciate Djo Munga's masterpiece.